Bjarnason: "Extending our Reach and Support our Customers to New Territories Is Key"
REYKJAVIK, ICELAND, SHANGHAI, CHINA and NEW YORK, NY -- (MARKET WIRE) -- November 7, 2005 -- Magnus Bjarnason has been appointed as a new Managing Director for the region of ISB Americas and Asia. Bjarnason (42) takes on his new position as of 7 November, 2005. "The primary objectives will be on strengthening ISB's focus on our many international projects in the US, Canada, Chile (Americas) as well as Asia, enhancing services to our customers in those markets," says Bjarnason. He has great experience leading a team of Business Managers managing ISB's international markets as well as previous Foreign Service background for the US, Canada and China. -- Magnus Bjarnason's appointment will strengthen our position in America and Asia, where his background from international affairs and his knowledge and experience from these regions will serve us well. Bjarnason will take on responsibility for business relationships with our clients that operate in these markets and will head the development of the bank's expansion into Canada, says Bjarni Ármannsson, Chief Executive Officer of Íslandsbanki hf and ISB. -- With the appointment of Bjarnason as our MD for the regions, we have the three Regional Directors in place leading our hubs that will be the platform for our Corporate and Investment Banking activities outside our home markets. The other Region Directors are Allan Strand Olesen in Luxembourg and Steinunn Thordardottir in London, says Jón Diðrik Jónsson, Managing Director for ISB Corporate & Investment Banking. ISB Americas and Asia is a part of ISB's Corporate and Investment Banking. The primary business acitivites are developing our standing within the segments of food and sustainable energy as well as supporting our core customers in home markets to new territories. As Executive Director in Investment Banking, Bjarnason managed a team of Business Managers for international markets. 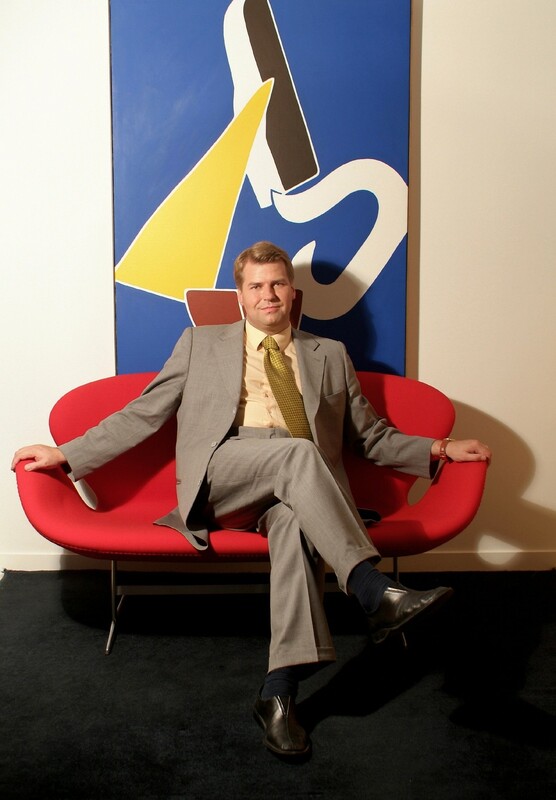 Bjarnason is Board Member of Icelandic American Chamber of Commerce. Before joining ISB in November 2001, Bjarnason served as Minister Counselor and Deputy Chief of Mission at the Embassy of Iceland in China from August 2003 to August 2005. Prior to that, he served as Trade Commissioner for Iceland in the USA and Canada, 1997-2003, and as Acting Consul General in New York 2000-2003. Bjarnason holds a MBA degree in International Management from Thunderbird, the Garvin School of International Management. He worked for the National Bank of Iceland, Eagle Air of Iceland, Icelandoil Ltd. (Olís) and the US Embassy in Reykjavík prior to joining the Foreign Service in 1996. Magnus taught International Marketing at the College of Engineering in Reykjavik 1993-1996 and has consulted a number of companies in international trade and business. Bjarnason is married to Anna Sveinsdottir and they have four children in the age from 9 to 22. Bjarnason will be located in Reykjavik. Islandsbanki (ISB) is a leading financial group that offers universal banking with its headquarters in Reykjavik, Iceland. The bank has an office in Denmark, a branch in the UK, and is the sole owner of banks in Norway (BNbank and KredittBanken) and Luxembourg. ISB is listed on the Icelandic Stock Exchange and has a market capitalization of approximately EUR 2.6 billion. ISB recently announced record profit for the first three quarter of 2005. Total assets by end of September 2005 were EUR 17,7 billion. For further information, go to www.isb.is.